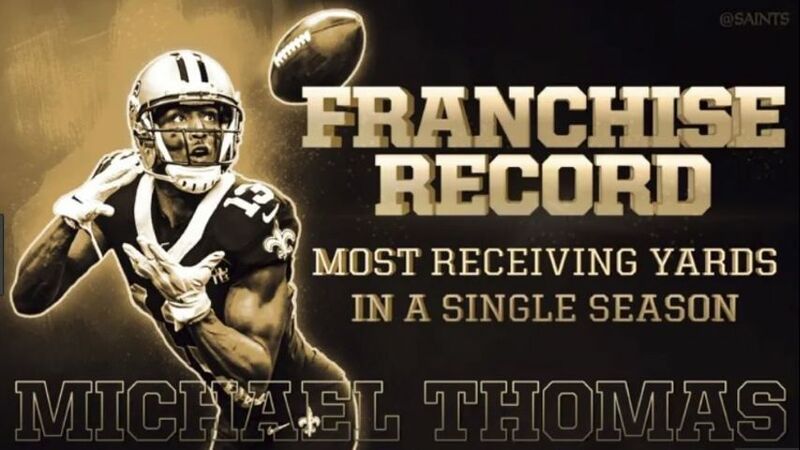 NEW ORLEANS – After paying homage to legendary Saints wide receiver Joe Horn eight weeks ago by pulling out a cell-phone for a touchdown celebration, the third year wide out Michael Thomas broke the Saints single-season receiving yardage record Sunday vs. the Carolina Panthers passing Horn’s record. 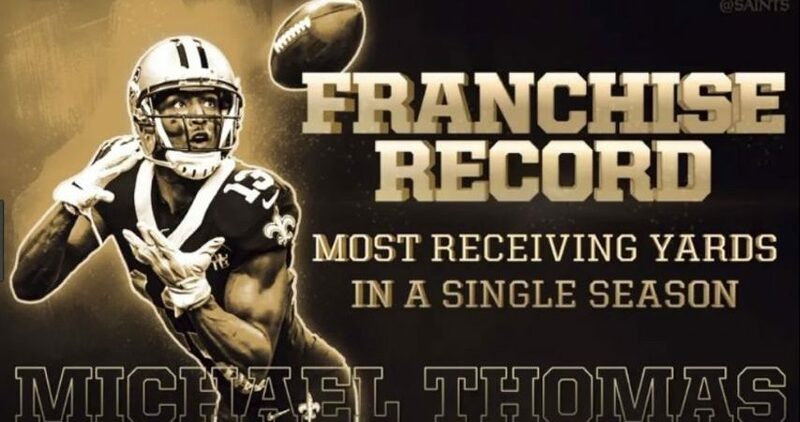 In his third season out of Ohio State, Thomas entered the game with 1,376 yards on 120 catches. 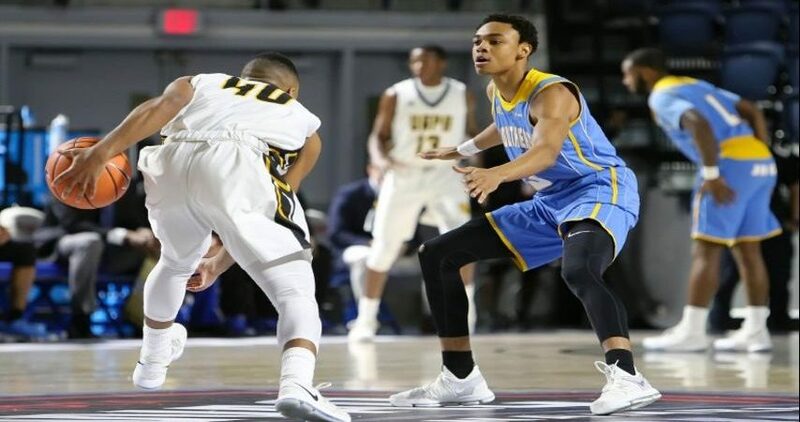 He moved past Horn’s mark of 1,399 in the second half. Horn set the record in 2004 on 94 receptions. Thomas set the mark in the fourth quarter with a six-yard reception to give him 1,405 yards.